Steamboat Springs is a charming town nestled in Colorado's Rocky Mountains, and visitors enjoy this town's abundance of outdoor activities year-round. During the colder months, visitors flock to Steamboat Springs to experience world-class skiing and great snow sports. During the warmer seasons, visitors head to Steamboat Springs to enjoy an array of outdoor activities, including hiking, biking, and horseback riding. There's never a bad time to visit Steamboat Springs, which is why it's considered one of the most popular mountain towns in Colorado. If you want to stay in the best location in Steamboat Springs, you should work with Vacatia to book your stay at one of the best Steamboat Springs resorts near Main Street. When you stay near the charming Main Street, you will be able to walk to great shops, restaurants, and bars. Let Vacatia help you plan your Steamboat Springs getaway so that you will enjoy every moment of your mountain vacation. Considered one of the best vacation spots among outdoors enthusiasts, Steamboat Springs attracts all types of visitors every year. This mountain town is an ideal destination for family vacations as well as romantic getaways with your significant other, and Vacatia can help you plan the perfect mountain vacation to Steamboat Springs. Vacatia's rental properties feature the added living space and comfort of a home, which means that you will be able to whip up breakfast in your own vacation rental before hitting the slopes. 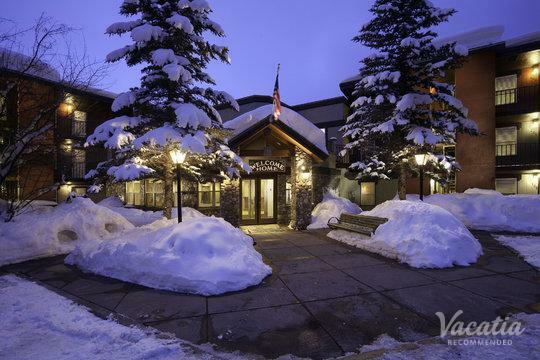 In addition to these added comforts and conveniences, Vacatia's properties feature the desirable services and amenities of a resort, which means that you can experience the best of both worlds during your trip to Steamboat Springs. If you want to plan a truly unforgettable vacation to the breathtaking mountains of Colorado, simply rely on Vacatia to book a vacation rental that will quickly become your beloved home away from home in Steamboat Springs. Steamboat Springs is one of the most popular vacation destinations in Colorado, as it boasts plenty to do and see for all types of visitors. Whether you're planning an action-packed mountain vacation with your family or a romantic getaway with your significant other, you are sure to fall in love with Steamboat Springs. While Steamboat Springs is best known as a winter destination due to its abundance of snow sports, it's also a great destination for outdoors enthusiasts during the summer months. Once the snow melts, Steamboat Springs becomes a haven for hikers, mountain bikers, and those simply looking to enjoy the fresh mountain air and the great entertainment of Steamboat Springs. Whether you decide to visit Steamboat Springs during the winter months or during the summer months, you should let Vacatia help you book one of the best rentals near Main Street Steamboat Springs has to offer. When you stay near Main Street, you will be close to all of the best dining, shopping, and entertainment available in Steamboat Springs, so you'll never be bored during your mountain getaway.